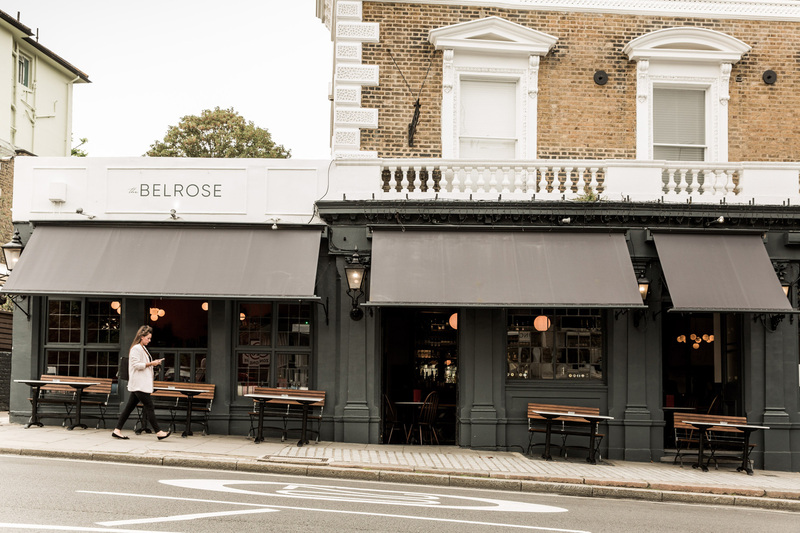 New pub The Belrose brings together Italian gastronomy and English ales in a blue-tinged space in London’s Belsize Park. 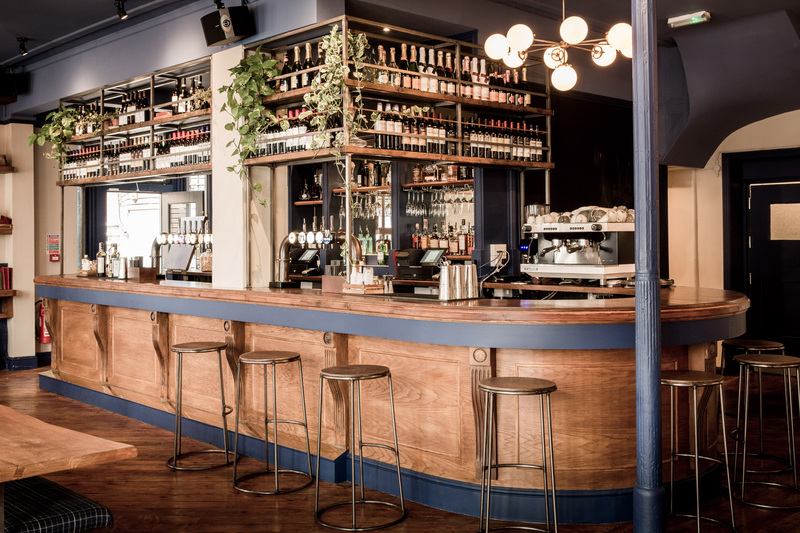 A-nrd Studio designed the interiors for the dining spot that includes an on-site microbrewery and revives the historical Load of Hay tavern – a Grade II-listed building dating back to 1863. 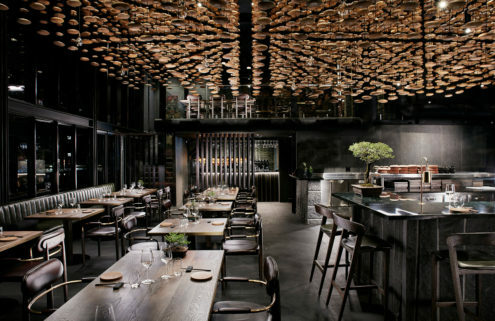 Textured stucco walls break the London restaurant’s freshly refurbished wood panels and cornicings. 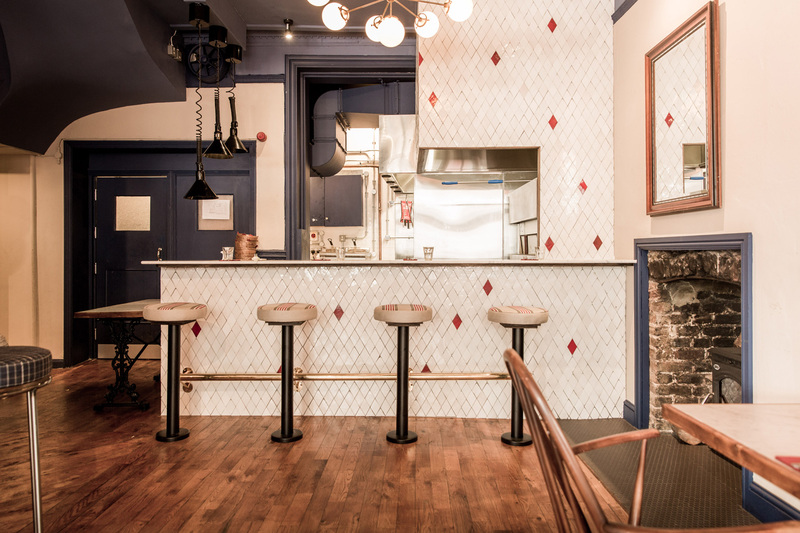 In the snug, Victorian texture wallpaper has been given a Mediterranean twist and is painted in a warm terracotta shade. 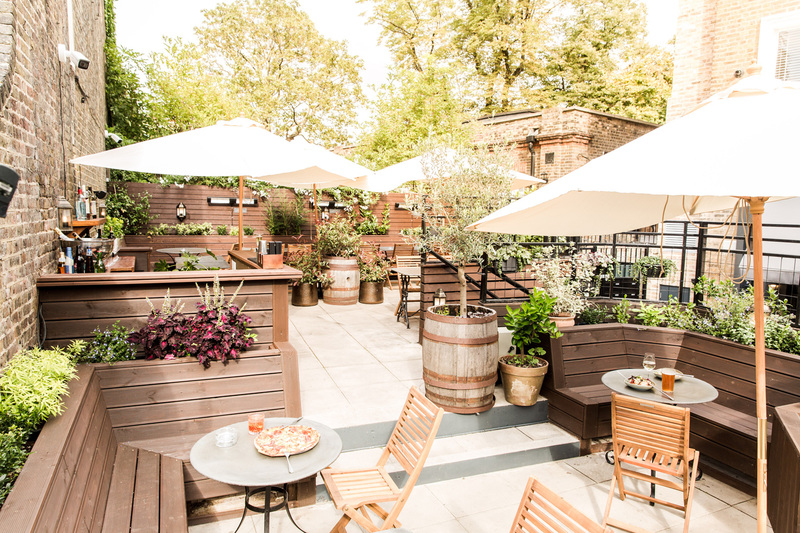 The Load of Hay’s original horseshoe-shaped bar has been extended to make it more of a social space, while textiles and furniture also mix English and Italian styles. Country chequer jostles with bold stripes reminiscent of the Italian Riviera, and vintage Ercol chairs sit beside Italian marble tables. 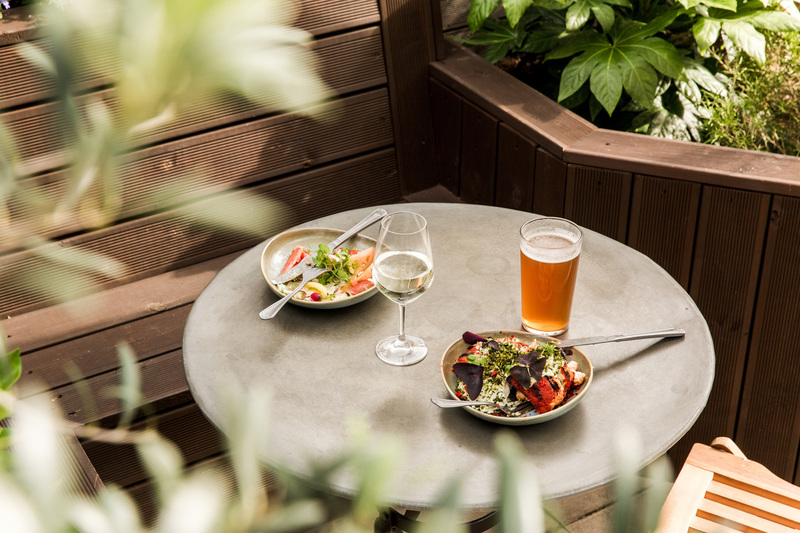 Craft beers and IPAs are brewed on site in The Belrose’s own microbrewery, and are served alongside rustic Italian dishes including Romano-style pizzas, Calabrian sausage, parma ham, black truffle and mozzarella.